It's a wild and dangerous ride as Spencer's friends follow the trail of clues all the way to the hiding place of the mysterious Aurans: guardians of a secret landfill. What they discover there will change the fate of the Rebels--and quite possibly that of the world. 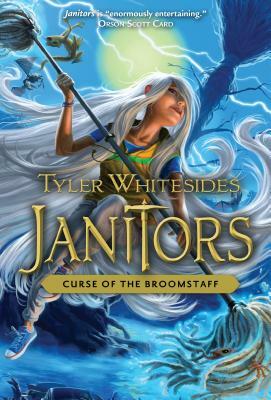 Tyler Whitesides worked as a janitor at a middle school while attending college. It was there he discovered the many secrets and mysteries that can be hidden in a dusty school. Tyler graduated from Utah State University with a degree in music. He enjoys spending time in the mountains, cooking, and vacuuming. Tyler and his wife, Connie, live in beautiful northern Utah.